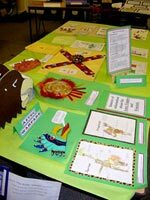 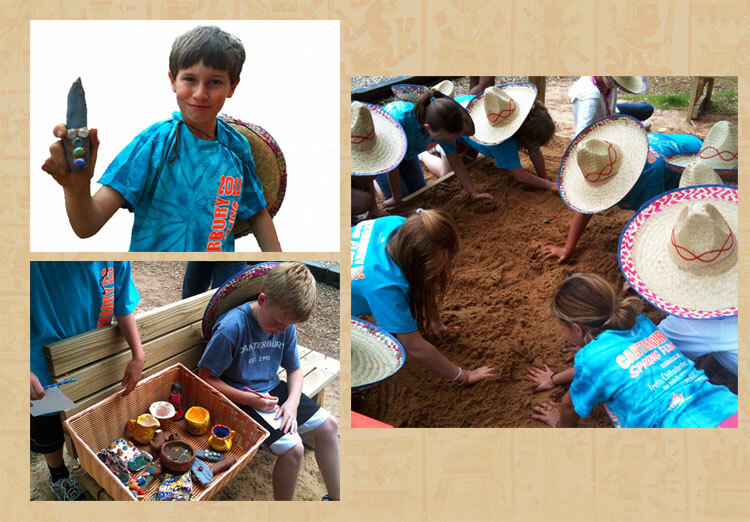 • Keith Gutteridge and colleagues at Notre Dame Junior School in Lingfield, Surrey, invited parents in to tour and admire the ‘Aztec Museum’ their Year 5 pupils had created in two classrooms. 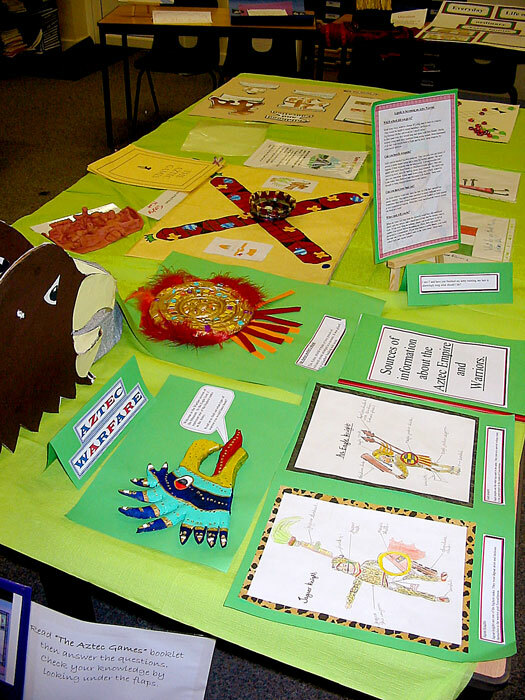 Full of research carried out by the pupils themselves (weekend homework), the displays came alive much more simply by being exhibited on tables instead of on classroom walls. 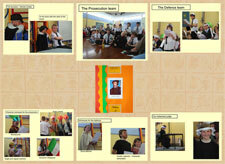 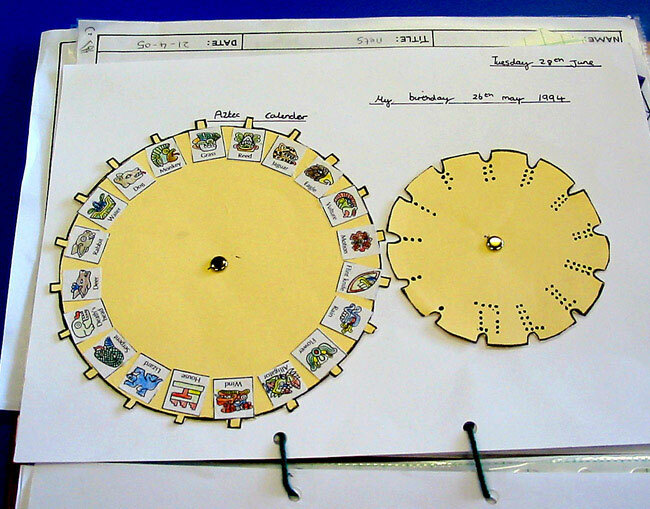 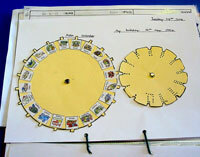 See more images in our ‘School Displays’ pages. 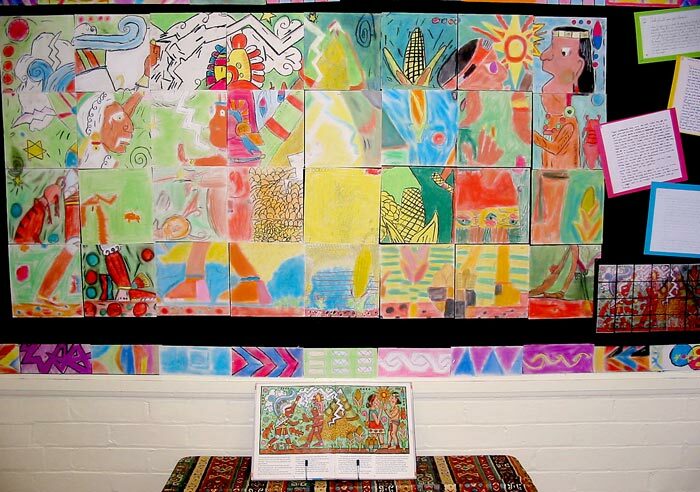 • At Birch Hill Primary School in Bracknell, Tricia Cook, colleagues and Years 3 and 4 pupils worked together to produce a beautiful framed mosaic figure of the school’s badger logo, inspired by their term’s work Aztec turquoise mosaics. 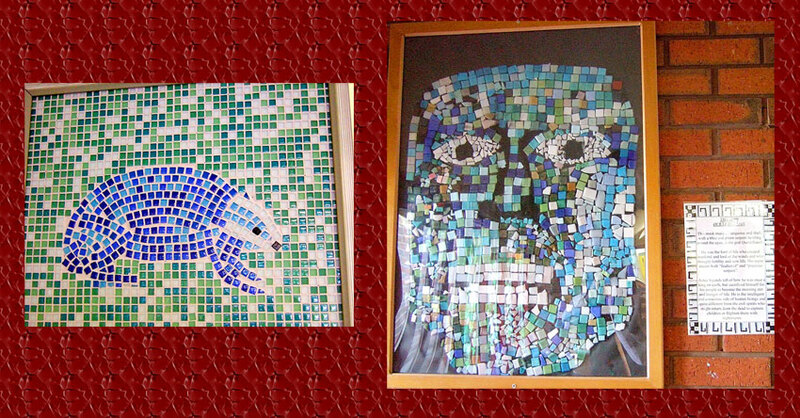 Alongside it is a more predictable but equally finely made mosaic mask of Quetzalcóatl at Bishop Stamer CE Primary School, Stoke-on-Trent.